At the law offices of Andrew M. Wolfenson, Esq., P.C., with offices in Union and Cedar Knolls, we offer small-firm attention with the full range of services normally found in large law practices. We work hard to make you feel at ease, placing a premium on our ongoing relationship with you. We focus our efforts on finding pragmatic solutions to family law and estate matters. 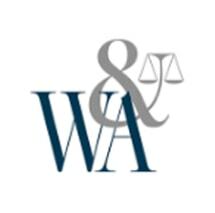 Attorney Wolfenson appears before the state courts of New Jersey and the United States District Court for the Districts of New Jersey, the Southern and Eastern Districts of New York. He is a member of the New Jersey Bar Association, Real Property, Trust and Estate Law Section. Attorney Wolfenson has lectured for the Graduate Realtor Institute of the New Jersey Association of Realtors. In addition, Attorney Wolfenson was formerly vice-president and legal counsel for the Parsippany Chamber of Commerce. Since June 2007, he has served as co-financial secretary and executive committee member for Adath Shalom Synagogue in Parsippany.